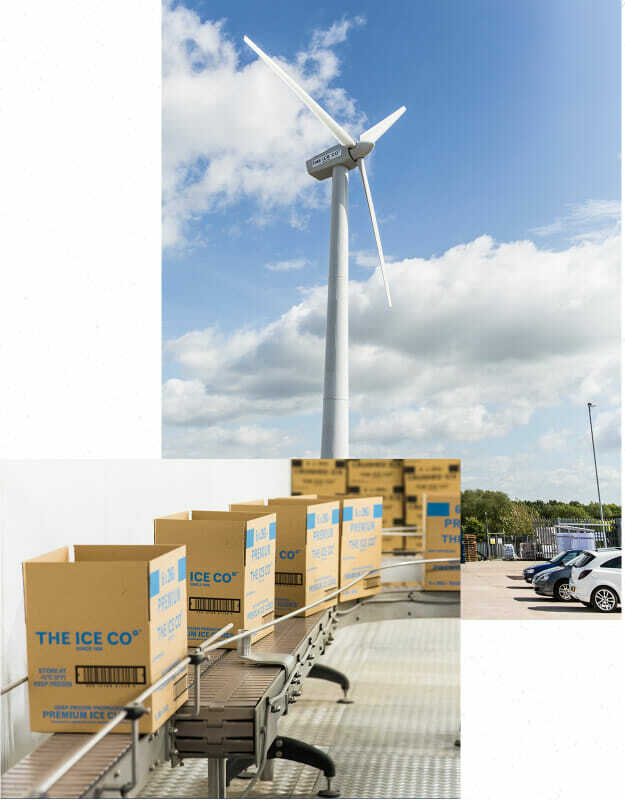 The Ice Co have been cooling for centuries. Our super modern manufacturing process ensures our ice is never touched by human hands, guaranteeing safe, good quality ice. 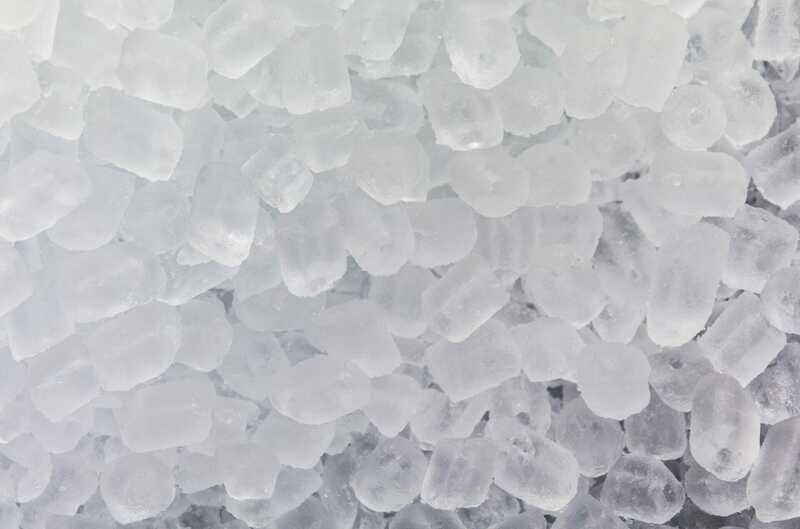 We produce 1000’s of bags of ice a day and aim to ensure every single one of those bags is the best quality ice available. The fully automated process we implement means each individual ice cube is whisked through the production process with no human contact. The fresh water is filtered and purified to help create the most crystal clear ice cubes, which are so very hard to make at home. All our ice is thoroughly tested which guarantees perfect and, more importantly, safe ice cubes for you. Each of our production sites are BRC accredited to a double A standard. This accreditation is internationally recognised and includes a thorough, in depth audit of our site and processes. If using an ice bucket and scoop, make sure all are thoroughly cleaned before use. When cooling bottles in ice, try not to be tempted to use the ice from inside the bucket. Who knows where the bottles have been, they could contaminate the ice. Always best to be safe! 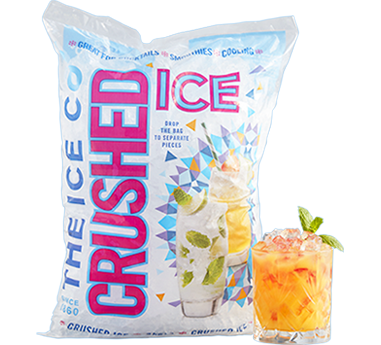 Very easily done - tearing open your beloved bag of ice and using your hands to retrieve the ice for your drinks. It’s your hands that are dirty not the ice! If ever abroad be cautious of the ice being added to your drinks. Question if the ice is bagged or has been made using tap water. If the tap water isn’t suitable to drink neither is the ice. products are micro-biologically tested which in other words means it’s lovely and pure. 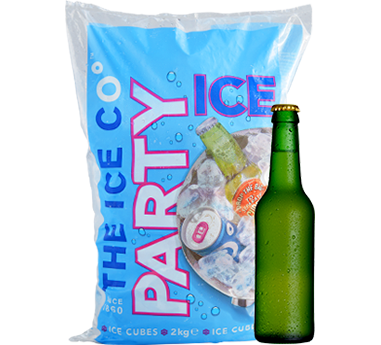 We have a range of ice with something on offer for every occasion. 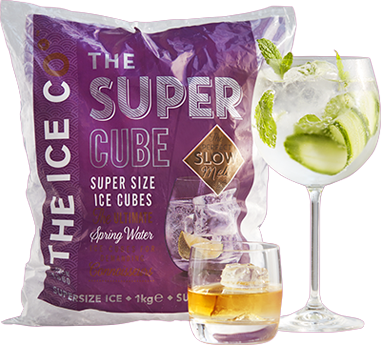 From Party Ice for chilling bottles to Super Cubes for that superior drinking experience. See our products page for more information. Still using an ancient ice cube tray? Not only can you never make enough or find a flat space for the tray, the risk of cross contamination is much higher. 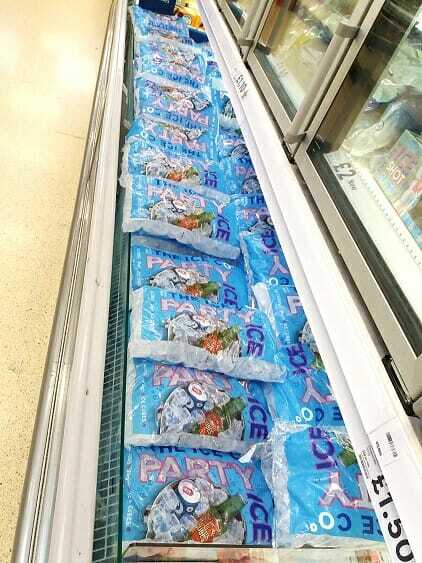 Buy ice the convenient way and enjoy the benefit of bagged ice! Readily available in all local supermarkets, simply take a trip to the freezer aisle. Never let your friends down again and keep your freezer stocked up with ice for when you next have friends over. Be the perfect host with ice in an instant! Worried about freezer space? 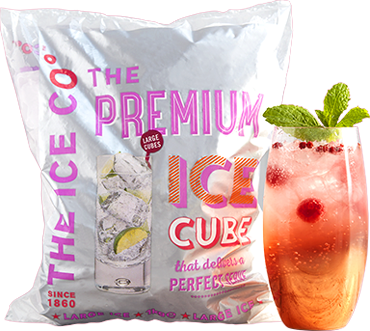 We offer convenient 1kg bags in our Premium Ice product, perfect for smaller freezer spaces. We use a fully automated production system to produce our crystal-clear ice cubes. In 25 minutes our cubes are made and packed, then moved straight into cold storage ready to be shipped to our customers.